Virgin Media has successfully trialled 8Gbps broadband with a number of customers in Cambridgeshire. These lucky customers will thus have had access to broadband over 200 times faster than the UK average. 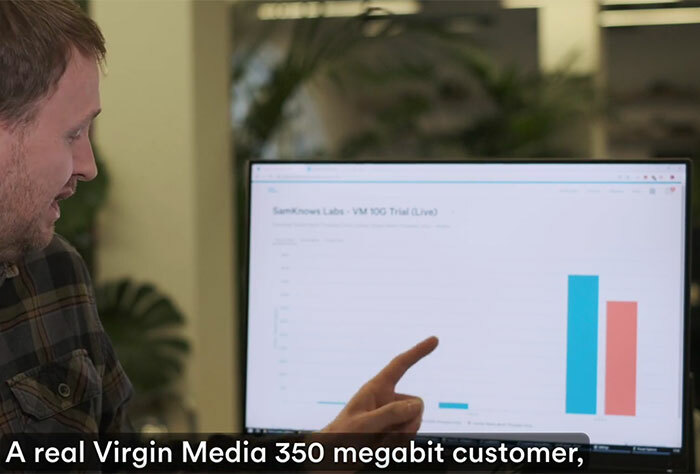 Interestingly, the tests used Virgin Media's existing fibre network leveraging EPON (Ethernet Passive Optical Network) technology - a global point-to-point network standard. After initial tests to prove the technology was deliverable to ordinary homes on its existing fibre network, Virgin Media is starting a six month trial with around 50 homes in Papworth, Cambridgeshire. As mentioned in the intro, the existing fibre cables will use EPON. An EPON module is installed at the cable modem termination systems (CMTS) before optical cables fan out to on-street cabinets and then to homes. No changes are needed, except those at the CMTS and a customised router in the home. 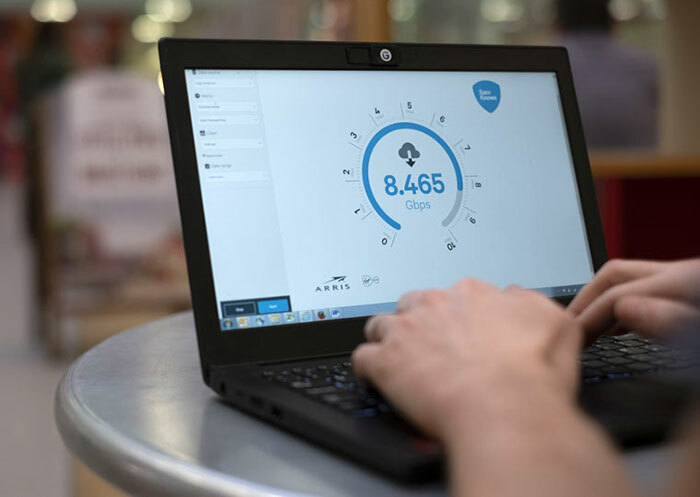 Typically EPON has been used to deliver up to 1Gbps in UK homes - but after working with technology partner ARRIS, and new equipment/software, it is testing the capabilities of connections speeds deliverable. Trials in Cambridgeshire are of connections that offer symmetrical connectivity - so downloads and uploads are both pushing through the 8Gbps level. Download a high definition (HD) film (5GB) in just 5 seconds, compared to more than 15 minutes on the UK's average connection. Download an Ultra High Definition 4K film (20GB) in just 20 seconds, compared to more than an hour on the UK's average connection. Download a very large PlayStation 4 game, for example Red Dead Redemption 2 (99GB download), in less than 2 minutes, compared to more than 5 hours on the UK's average connection. Upload 300 high-resolution holiday photos (3GB) in just 3 seconds, compared to nearly 1 hour 10 minutes on the UK's average connection. overshadowed by the new 10Gbps trial results. Unfortunately, Virgin Media's representative states that "we're not about to roll out speeds this fast in the near future" but trials such as these should have a trickledown effect. Some think that 5G will be the next big thing in not just mobile but home broadband technology; its touted speeds are so fast that companies like Virgin better make the best use of their wired customers while they can. is there SSD's that would let you do as they say, and let you download 20gb in 20 seconds? Less concerned with whether ~8Gbps is doable, and more concerned with actually getting >150 KB/s. Fastest SSD can write with 3GB/s, so yeah, it can 20GB in 6.5 seconds. Probably not but that's not where this is aimed at, its aimed at households with a large number of people and devices. At least these seems like real fibre to the premises, rather than Virgin's fibre to the cabinet + crumbling shared coax to the home. Still, if it's using a VM router at the end, it's all theoretical numbers, as the wifi will struggle to even penetrate through air, never mind walls.